Donald Trump needed 270 electoral votes to win. He won 36 more than needed. Texas has 38 electoral votes. So, what happens if between now and the first Monday after the second Wednesday in December (December 19, 2016), Donald Trump does or says something to offend a bunch of Texas Republicans. The electors walk into the state capitol, filled with rage and indignation, and cast their votes for Ted Cruz. Let’s take a quick look at the Twelfth Amendment to the Constitution of the United States of America. Now the House needs to choose between the top three finishers, one state per vote. Trump, Clinton, Cruz. Could be a fun time in the old house. Even more fun if something really goes awry, and the Ohio electors vote for John Kasich. Ohio only has 18 electoral votes, and they can’t pass Ted Cruz into third place unless he can find another 21 electors to go along with the Ohio electors and Kasich. If the House can’t elect a president from among the top three finishers in the Electoral College, the Vice President moves up to the presidency. I would suspect there are many House Republicans who would be very happy with that outcome. Who knows? Even if Trump takes office, impeach Trump and hello President Pence. It’s been a nutty year. Don’t discount some additional nuttiness between now and January 20.
so the relevant nuttiness has happen by then. Donald Trump doesn’t become President-Elect until the votes are cast on December 19. If both offices are still undecided it will be the Speaker as acting President. I rec’d this diary for the fun discussion, but I’m not expecting anything will change in December. …given the Trump team’s record out of the box, anything can happen. I think, by a plain reading of the Twelfth, with these numbers Trump still has a majority. I don’t know that there is anything magical about 270… that’s just the straight number in a two way race, but you posit the automatic creation of a third place spoiler. To really upend things the entire Texas delegation would have to cast their votes for Clinton, making it 268 to 268 and I don’t see that happening. 36 electoral votes is, I think, an unsurmountable obstacle. I don’t see that many members of the College switching votes. And, even if they did, I don’t know that some members from the ‘blue’ states like Virginia or Nevada switching their vote as a countermeasure. “Faithless” could go in either direction. There will be a total of 538 electors chosen throughout the country, so yes, 270 is absolutely required to win. There would be no reason for a Clinton elector to flip, IMO. Majority specifically means more than half. … sometimes it just means ‘the greater part of’ and at other times it means the margin by which victory was achieved. It is not actually defined in the constitution. Trust me on this one. Majority meant to that generation, as it does to ours, especially in the context of voting procedures and manuals of parliamentary law, more than half. I have heard people use majority to simply mean highest number, but that is incorrect. Also, the precedent (1824) is to go to the House if nobody gets more than half since the EC has never exactly tied since the adoption of Amendment XII. If more than half were not meant there would be no need for the phrase I bolded. If you actually read Clause 3, the President is the one with the greatest number of votes, if that number is also a majority of all votes cast; otherwise, if there is a tie with both candidate getting a majority, the House chooses between the two (How can there be two candidates, both with a majority, I have no idea. Maybe Madison was bad at math); and otherwise it goes to the House. Fun discussion, but unlikely in the extreme. …was exactly what Amendment XII was designed to prevent, in which goal it has succeeded. The original Article II calls for electors to cast TWO votes without specifying a which was their presidential and which was their vice-presidential preference. During the 1800 election when parties were still experimental, Jefferson and Burr each got a tied majority. Jefferson was the intended presidential candidate and Burr intended for VP, but no Jefferson elector got the memo to throw away his second vote and not give it to Burr. Eventually the House chose Jefferson with prompting from, of all people, Hamilton. This is also how George Washington was the unanimous choice in both 1788 and 1792 yet John Adams still got sufficient votes to come in second and thus become VP. If the House can’t elect a president from among the top three finishers in the Electoral College, the Vice President moves up to the presidency. Does that mean Pence, or Biden? And it was McMullin’s whole plan. Crazy year. 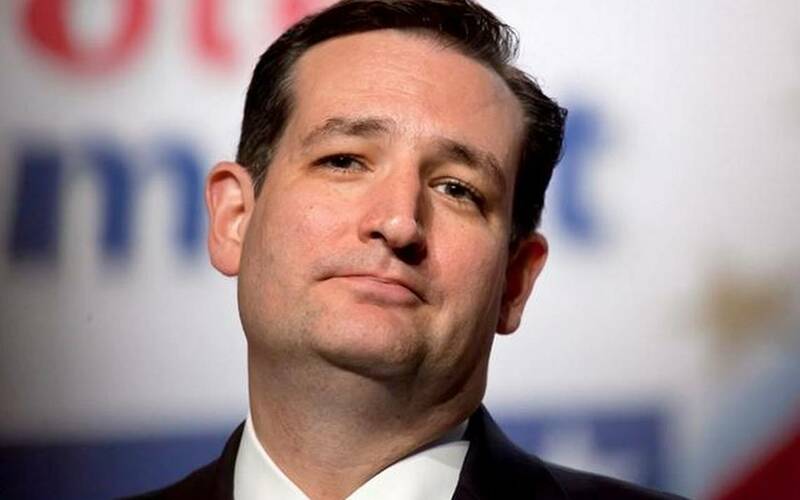 …that the only person Congress hates more than Trump is Cruz? Which is why the Ohio coalition scheme for Kasich comes to play, in order to beat out Cruz for third place in the electoral votes. Paul Ryan was just UNANIMOUSLY reelected as Speaker by the GOP caucus (which is better than Boehnor did), and there will not be enough Democrats to stop that when it goes to the full House. Trump was going to make sure he was gone, remember? I generally have a lot of respect for the intelligence of the hive mind on BMG, misguided as it is. But the hysteria and rumor mongering has become frightening. Any rumor, no matter how unlikely the source, is posted as gospel. Of course, this is because the left in general and the media in particular have zero sources, contacts, etc. – except maybe poor Todd Domke? – and have just started making stuff up like Girl Scouts with a flashlight at a campfire. There will BE no secret plan by electors. You guys are making yourselves ridiculous. Donald Trump is going to be our next president, unless something catastrophic happens between now and January 20th (and I don’t intend that as any sort of prediction or threat). He won the election, he will take office, and he will be our president for at least the next four years.